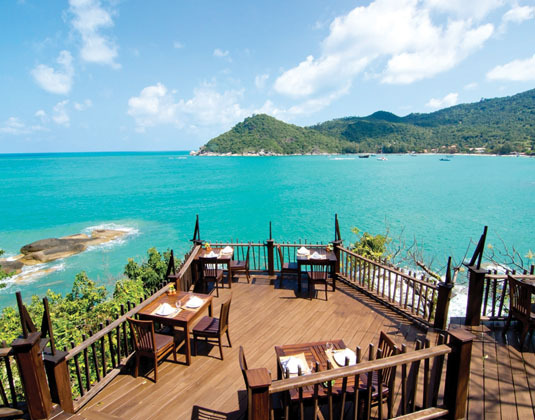 Surrounded by tropical plants and shaded by swaying palms, Panviman Resort enjoys a stunning hillside location overlooking the beautiful sweeping expanse of Thong Nai Pan Noi beach. 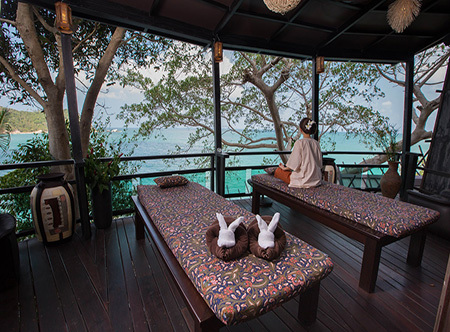 Guests will find an array of rooms, cottages and villas; a spa offering remedies and treatments to leave you refreshed and renewed and the option of beachfront dining or international cuisine with unforgettable 360º views. Perfect for honeymooners, couples and young families seeking great value away from the noisy beach crowds. In superior rooms with air-conditioning, shower, DVD, mini bar, safe and balcony. 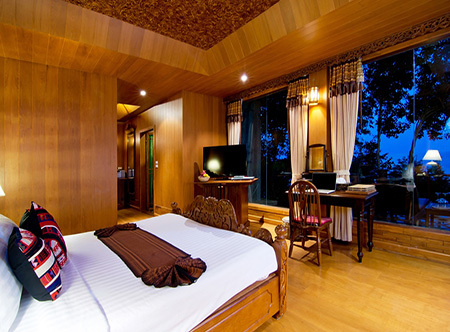 larger deluxe rooms, junior suite style deluxe cottage, pool villas, spa villas (king bed only) with terrace. 10 minutes from Koh Samui airport then 30 minutes by boat. The boat transfer is operated by the resort, however if the weather is inclement (Nov-Dec) it may be necessary to take a 30 minute public ferry then a 40 minute transfer by road. Due to the hillside location, this hotel is not recommended for the less mobile. 16 Sep-22 Dec 19 if you book at least 30 days before arrival. 15 Jul-15 Sep 19 if you book at least 90 days before arrival. 08 Jan-31 Mar 20 if you book at least 90 days before arrival. 01 Apr-14 Jul 19 16 Sep-22 Dec 19 if you stay a minimum of 7 nights to the next room category. 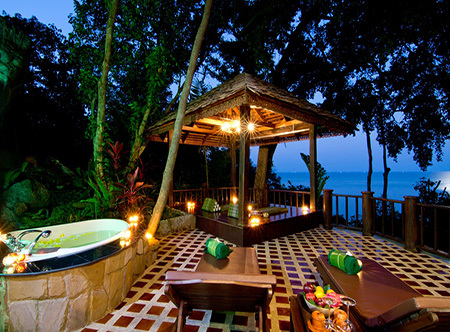 01 Apr 18-31 Mar 20 if you stay at least 3 nights receive fruit, flowers and a candlelit set dinner for two.